Information: Angel made the cape out of some purple fabric and a thick golden chain that was removed from a Party City clock prop. 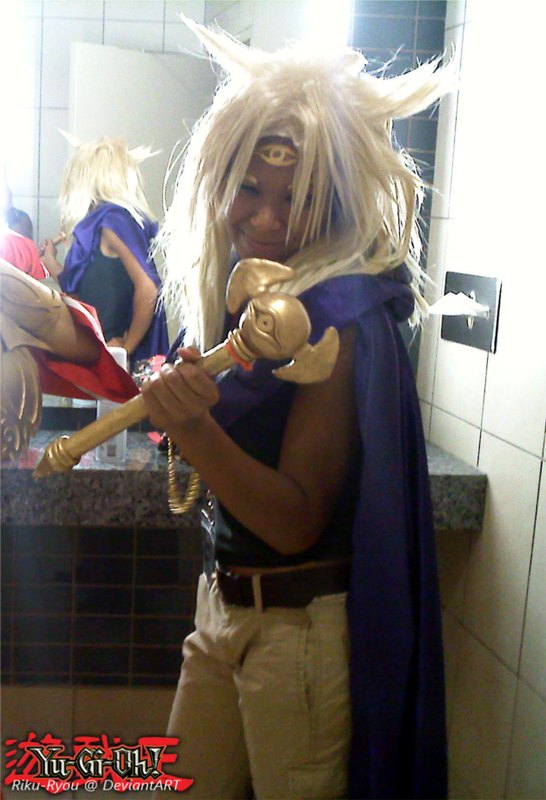 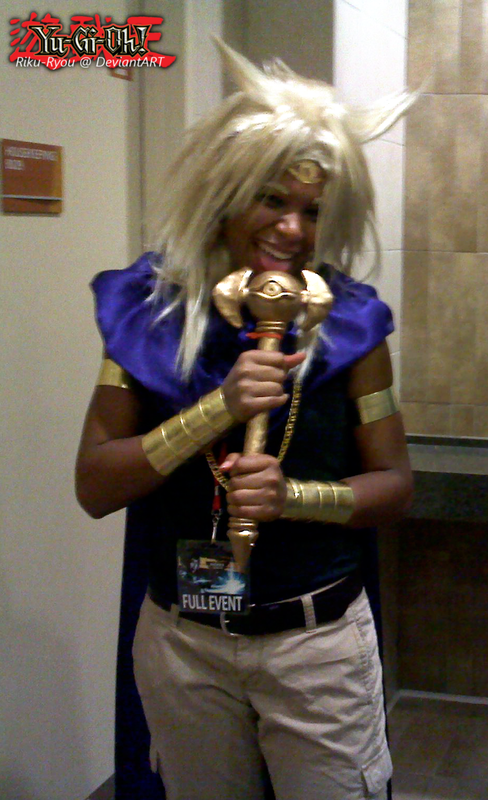 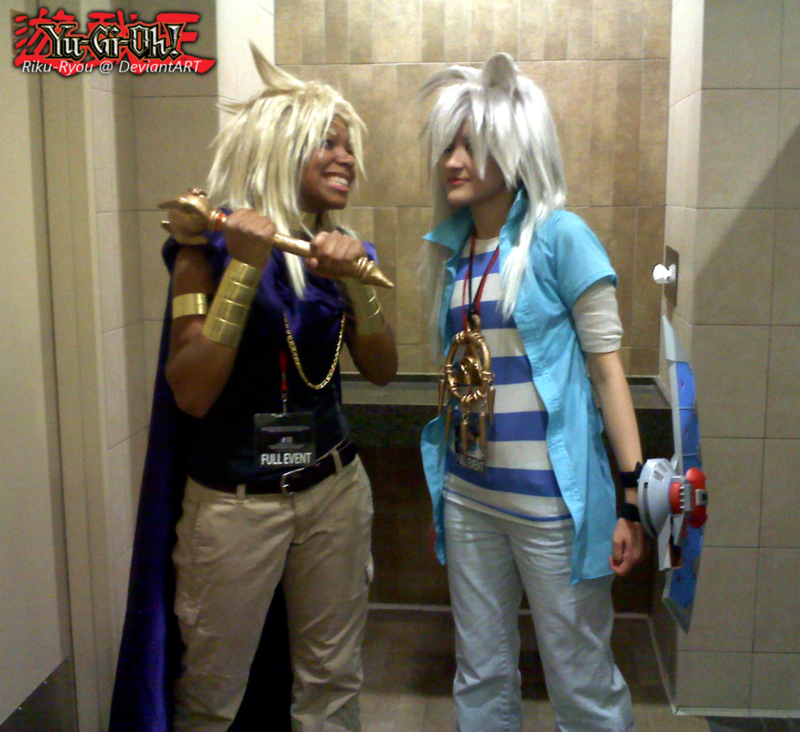 The golden accessories were the same used for the Regular Marik Ishtar cosplay that was made for Sora. Which were made out of golden leather straps. 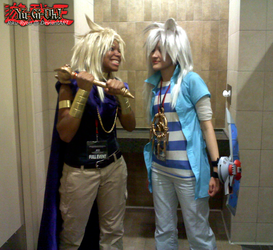 The pants, black top, and belt were store bought.